Everything for the Home Inside & Out! The Home & Garden Event of the Year! Excitement is building for the 54th Annual Omaha Home & Garden Expo to be held Thursday, February 6th through Sunday, February 9th at the CHI HEALTH Center Omaha, 10th Street & Capitol Ave. The Omaha Home & Garden Expo unites with the Omaha Lawn, Flower and Patio Show to become the Most Complete showcase of the latest products and services for the Home – Inside and Out! Response was tremendous shown by one of the Biggest Consumer Shows in Omaha, with the highest attendance and an audience interested in building and home improvement ideas. This year’s Show will combine all the latest ideas for today’s home consumers from kitchens, bathrooms and home improvement products and services to the Smells of SPRINGTIME! A chance to stroll the Area’s Largest and Most Colorful Showcase of beautifully landscaped gardens with ponds, waterfalls and blooming flowers with the largest Home Expo presented in the Omaha Area. Uniting the two shows into one presentation becomes “the Home and Garden Event of the year in the Omaha area” says Mike Mancuso, Show Director. This four-day multi-event extravaganza will have Attractions for adults and children alike. A New Home completely decorated with a Backyard Garden Display, A Fountain Café & Food Court with continuous Entertainment, Exotic Animals and fun for the kids with special activities. 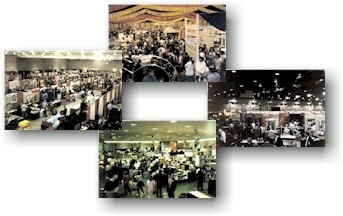 The Show creates consumer excitement with nationally-known experts and personalities presentations throughout the Expo. The Home & Garden Expo, an Annual Family Tradition with over 200,000 sq. ft., will be able to show the latest products and services for the Home, Garden and Outdoor Living. Whether you are looking for ways to remodel your home, decorate, build a new one or explore creative landscaping, you’ll find millions of ideas and everything for the Home- Inside and Out. The Expo is an excellent opportunity for home consumers to view the latest innovations, compare products and visit with experts in the industry. At this year’s Expo you’ll find a wide variety of products and ideas for the do-it-yourselfers, interior decorating trends, contractor services, energy-saving products, patio furniture, lawn and garden equipment, room additions, replacement & new windows, doors, siding, roofing, fireplaces, bathrooms, kitchens and much more with over hundreds of displays. The Omaha Home & Garden Expo is a showcase of the latest products and services available and will have experts at the Show discussing ways you can improve your home and help the environment. In most homes as much as half of all the energy used in the home is wasted. The City of Omaha Recycling Department, Keep Omaha Beautiful and others will be sharing how you can be involved. The Show will have a Fresh Local showcase featuring locally grown plants, and products made in the Omaha area. The Show offers Lawn & Garden Ideas and solutions with an opportunity to visit The Greater Omaha Garden Clubs and “Ask the Master Gardener” Answer Desk. More Americans than ever are discovering the joys of gardening. National surveys show that millions of Americans spend time gardening, making it the country’s #1 leisure time activity. There is also a surge in water gardening, developing a peace and serenity of their own. The 2020 Show will again feature informative programs in the Show’s Garden Theater. The 54th Annual Omaha Home & Garden Expo and Annual Omaha Lawn, Flower & Patio Show exhibits will be open to the public Thursday, February 6, from 5 PM to 9 PM; Friday, February 7, from 11 AM to 9 PM; Saturday, February 8, from 10 AM to 7 PM and Sunday, February 9, from 11 AM to 5 PM. 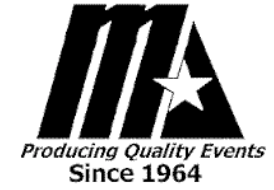 Mike Mancuso, Show Director, Mid-America Expositions, Inc. Copyright © 1999-2017, Mid-America Expositions, Inc. All rights reserved.